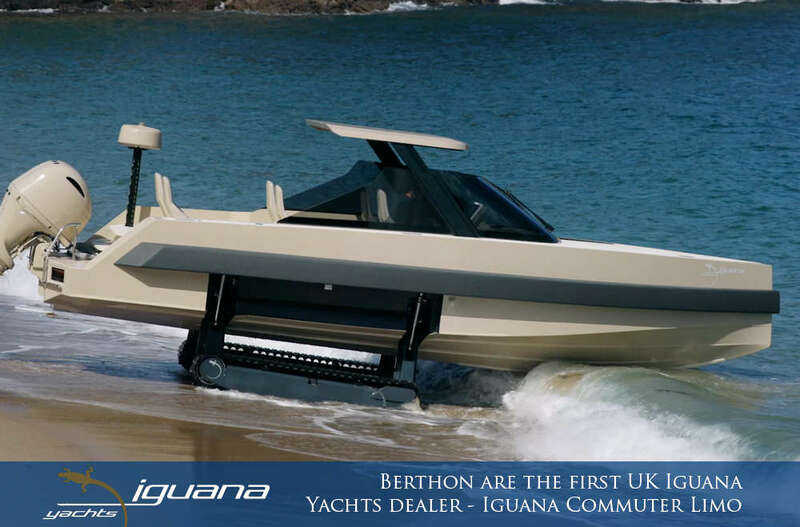 We are delighted to announce that Berthon have recently become the first UK Iguana Yachts dealer. The amphibious range of 9m boats deliver a comfortable and social experience, but it is on land where she becomes truly unique. The unlimited land drive takes the form of tank like tracks, which not only makes her capable of conquering virtually all terrain but also spreads the load evenly, delivering the same ground pressure footprint as a human per cm. The ability to store the boat out of water not only reduces maintenance and storage costs but also allows owners to embark within minutes direct from their waterfront home, even in waves of up to 4ft. Existing owners of the brand say they use their Iguana 6 times more often than any previous boat. Why not find out just how often you might use an Iguana by contacting Robert Steadman for a sea trial. 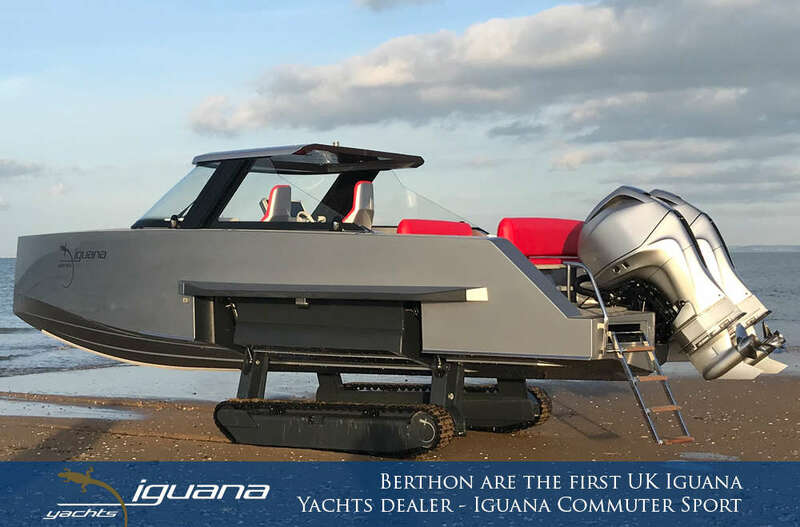 We have an Iguana Exclusive available for immediate delivery here in the UK, so you could be enjoying your own amphibious experience this summer!